You long ago learned how to be with your fixation, intensity and anger. These were the things driven up when you had something in front of you that needed to be good. These weren’t small things, things that didn’t matter that much. These weren’t the things your employer put in front of you (those are your employer’s things that need to be good, not yours). These weren’t the things that your family put in front of you, though they did tend to matter more. These weren’t even the desires that you have for your kids, although those desires are the closest ones you would allow yourself to touch. Channeling your own desires through your kids created a bit of a buffer between your own passion and intensity. It provide a safe route for you to create your own yearning in the world. A route to do things that mattered without hurting people because of how you tend to show up when you really pursue what matters. Life is pretty sweet like this, if not a little bland — kind of like a dish prepared with a bit too much of one spice, and not enough of the others. You’ve also been getting supported with this for a while. The yearning doesn’t seem to go away, and you have continually crafted new ways and strategies to express it without getting your humanity on the people you care about. 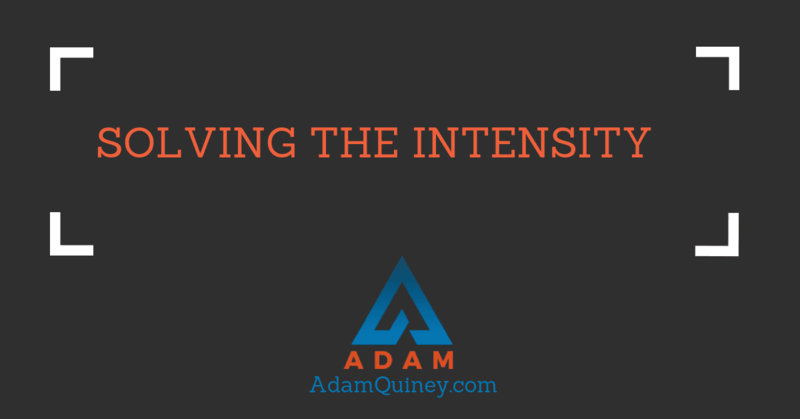 The humanity I’m talking about is your intensity — your ferocity. Still, you notice how it shows up in weird places. While sitting behind the steering wheel of your car. While watching your children play in their sports league (you’re starting to become one of those parents…). Your friends give you great advice, when you let them, for how they handle these parts of themselves. How they keep these parts under wraps. You read books about techniques to avoid feeling what you are feeling. You’ve even started to take up meditation, seeing if you can peacefully release these thoughts and become a flat line for a blissful ten minutes. By the time you and I are talking, you’ve just about stamped the last of this out. You know that if you can just get a little bit more strategy, and maybe some recommendations for a few books and tools to use, you’ll finally have this sorted and can live the peaceful, fulfilled life you want to live. I listen to what you tell me you want, and reflect back that it sounds like you’re trying to get life nice and neat and squared away. You pause and think about it. You’re not really sure what you would do then. You give the answer that feels most accurate: “Then I can feel fulfilled”. We explore what you want from fulfillment. It’s a weird conversation. It’s kind of like you’re trying to point to the things that really matter to you in your life, but from inside a set of scaffolding that makes it impossible for you to want those things (for fear that they’ll bring back the demons your scaffolding is designed to hold in check). We go in circles for a while, until I end our conversation and leave you with a practice. You don’t really like what I have for you. That’s okay. I know that you may need to keep trying to solve all of life’s little niggles for a while longer. Maybe it takes a year before we really get to work on this. Maybe we never get to work on this. Maybe four years from now, you talk to a friend and suddenly “get” what I’m pointing to. I do my best to release how it needs to go and thank you for our time together.